The MENA & the Sub-Saharan African regions are highly sensitive to the consequences of climate change, and are known to be the most disaster prone regions in the world whilst supporting already critical increase in frequency and intensity of extreme weather events like droughts and floods, with a huge population that is likely exposed and affected in these regions. In the MENA region and some African countries, people will be affected with water stress and scarcity by the year 2050 before changes in climatic conditions have been considered. 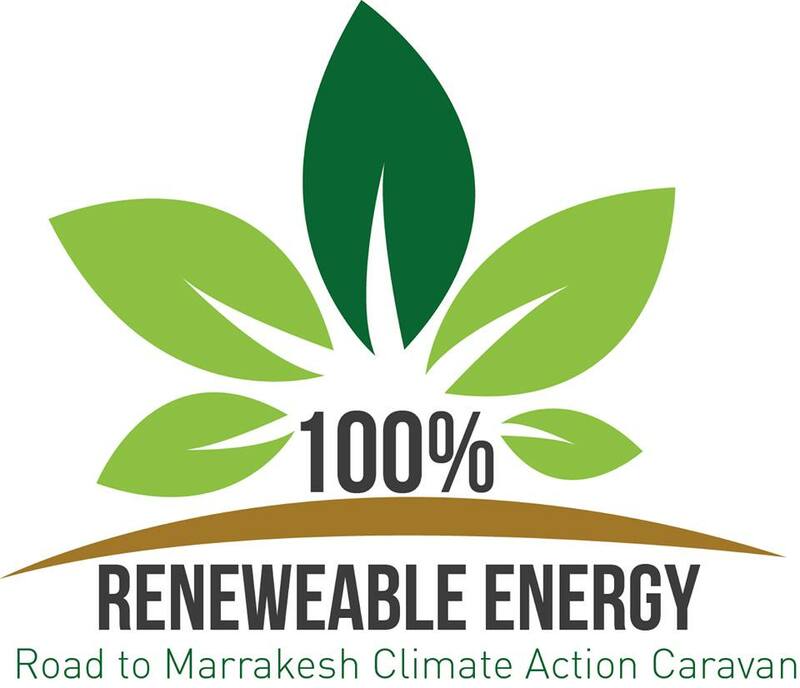 The 100% Renewable Energy Road To Marrakesh Climate action Caravan aims to shine a light on existing climate action by youth;allowing them space to identify their successes and to inspire other youth - and policymakers - to become just as active. Based on the premise that the various youth-led organizations, working on Climate issues, come together too rarely; we want to upset these habits, and create a wide youth movement to show the world that Youth are Part of the solution. After Paris, the world needs to keep working hard towards positive and concrete actions on climate; that’s why we are thinking in the lead to the COY12 and the COP22, to have this Road to Marrakesh Caravan. 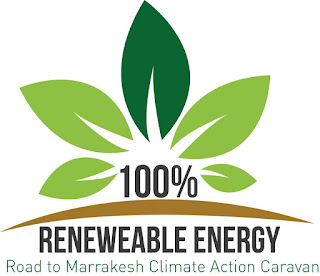 On road to Marrakesh Caravan participants will experience and exchange the incredible energy of visionary change makers from across MENA, Africa and the world. It is a unique opportunity to travel and work alongside like-minded activists, artists and strategists, to collaborate on new pathways to positive change and create diverse long-term partnerships. The Caravan aims to empower and celebrate with communities in the towns we enter, grab media attention, reach those in positions of power, wealth or influence and raise awareness, as well as living strong, as positive change makers related to our shared purpose and vision. This caravan aims to create a youth momentum for change, to bring energy and synergy together before COY12, to materialize the global youth partnership towards action on climate. For more information and to take part please contact Moussa Elimane Sall, Legal & Policy Regional Team Leader of the MENA Youth Climate Movement on Tel: 0022247567073; 0022222391887; Skype Id: Mesall; Facebook, Moussa Elimane Sall.